New custom designs by Dave. 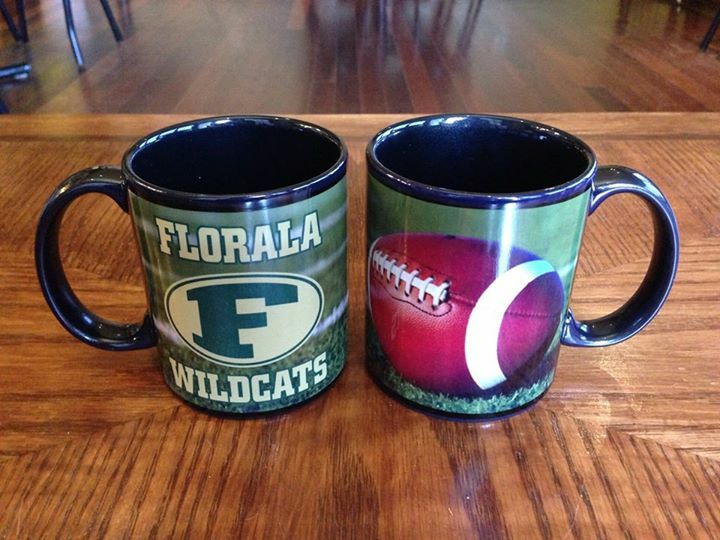 Paxton High School & Florala High School Mugs $10 only available at Florida Farmers Market. 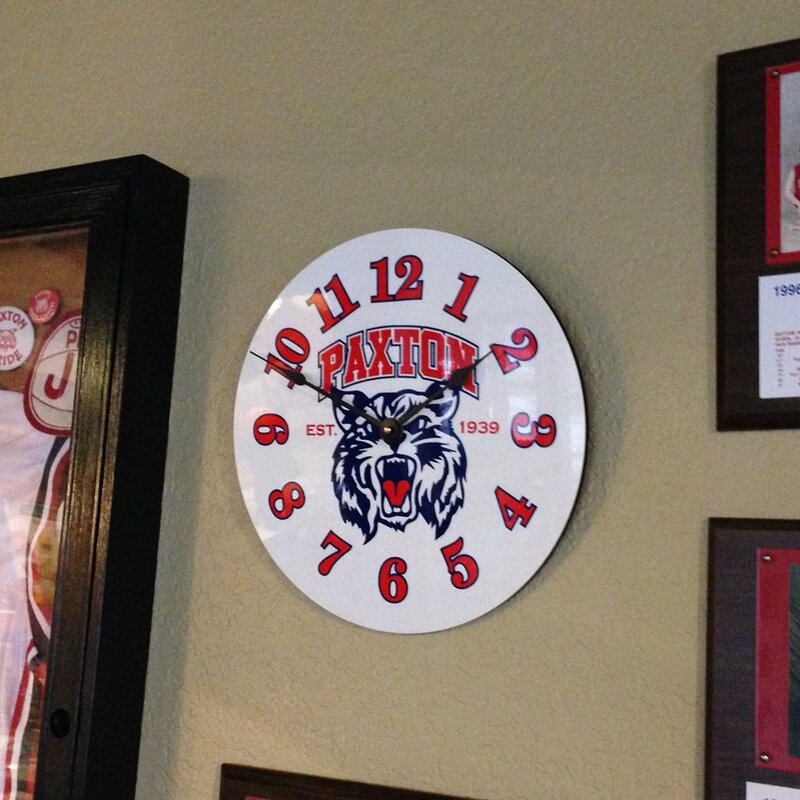 New custom designs by Dave, come on over to the market and see our new Paxton High School clocks. 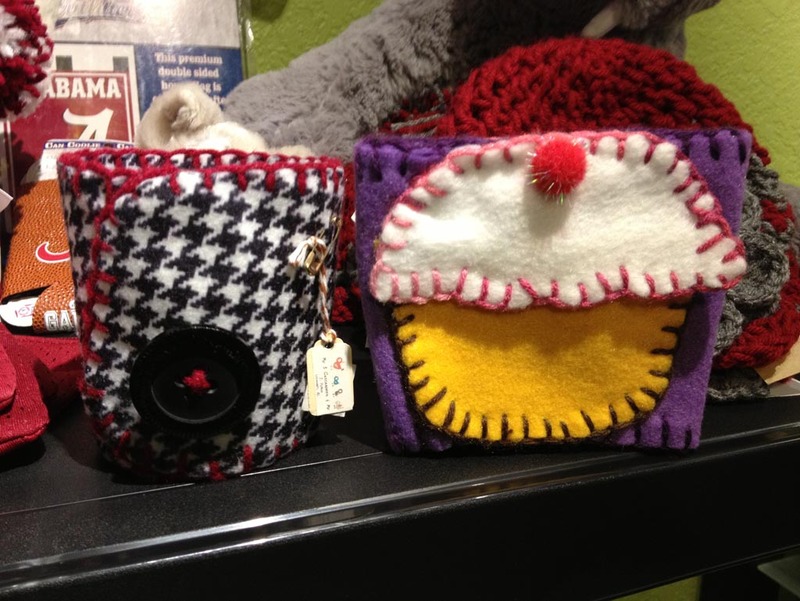 October 18, 2014 / Heather / Comments Off on New Bread Bowls! Could our delicious soup be any better? We didn’t think so until we started baking fresh BREAD BOWLS! 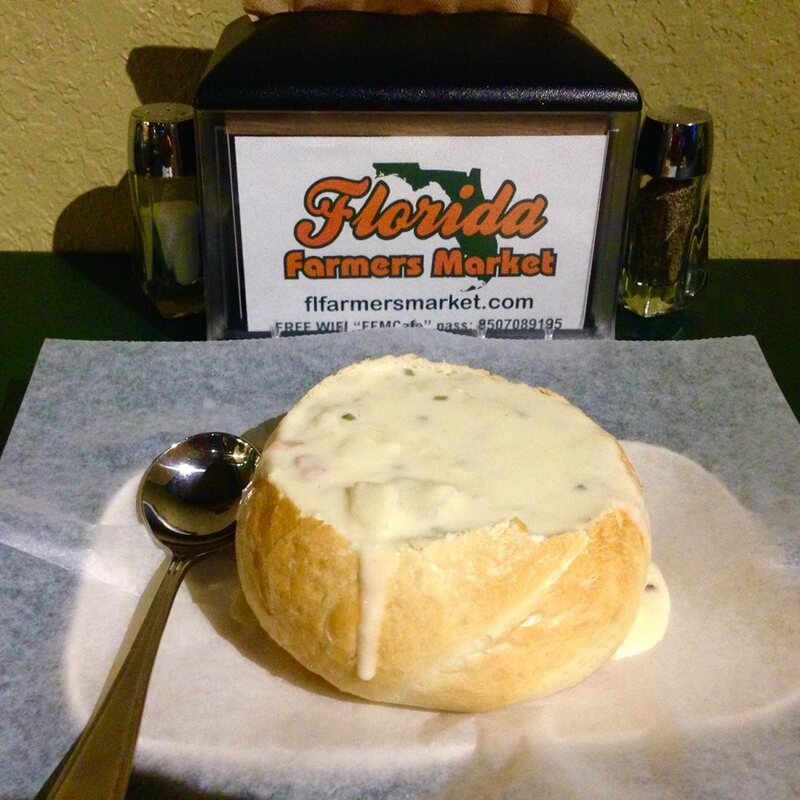 It’s the bowl you can eat… Mmmm We’ve got new bread bowls in at Florida Farmers Market this soup season. Come on in and see what’s fresh! 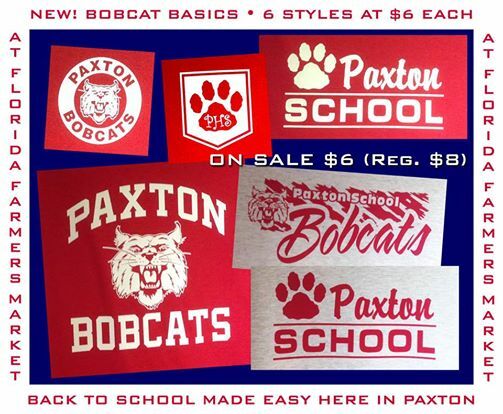 Now through the end of August, select Paxton Bobcat shirts are $6 (Regularly $8). 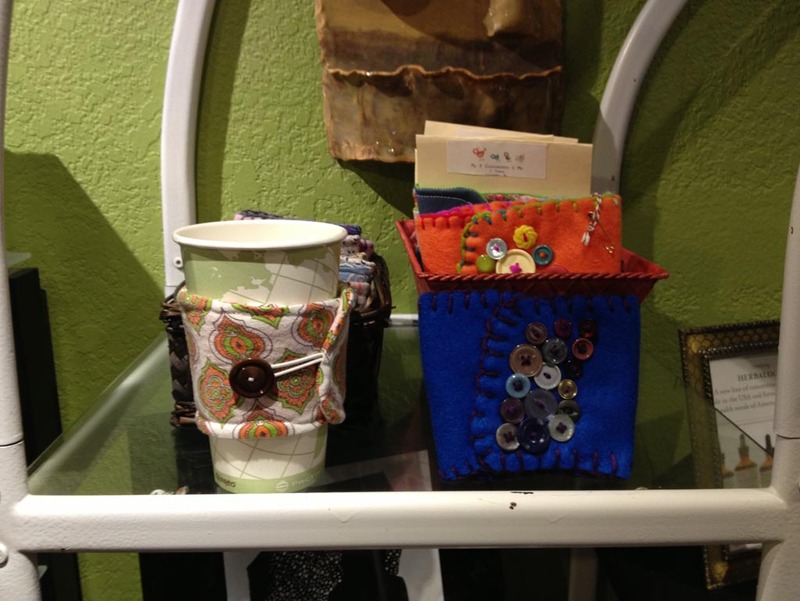 Come by and see what we have custom designed for you! August 28, 2013 / Dave / Comments Off on What’s new? LOTS! At FFM Cafe we strive to be different. Most of you are probably thinking, “Y’all don’t have to try that hard! *snicker*”, and you would be correct. We are sometimes just plain weird, but that’s not a bad thing! Feel free to blame Dave… He’s used to it. Speaking of Dave… He has been tinkering with the menu lately, and some delicious combinations have come from it. Enter: Chicken Pancetta Ciabatta! It’s a mouth-watering combination of grilled Italian chicken, grilled onions, crispy thick-cut bacon, melty monterey jack cheese, all piled high on a rustic Italian ciabatta loaf. It may be hard to say, but its name isn’t the only thing that makes it a mouth-full. Keeping in the chicken mode of things, the “Summer Snow” salad was added to the menu due to its extreme popularity during the Christmas in July promotion. It’s just called “Grilled Chicken Salad” on the menu now, and it is exactly the same aside from an improvement in the preparation of the chicken. It’s now marinated to keep it moist and delicious even after a little grill treatment… Mmmmm! We also expanded our breakfast menu to include sausage. Just say “no” to rubbery, hard, hockey-puck-like patties! Our sausage is tender and tasty like it ought to be. Coupled with scrambled eggs and real cheddar cheese on our buttermilk biscuits, you will find our hot breakfast hard to beat at a price you can afford. Forget the heat lamps at the fast food joints and gas stations. You deserve to have your breakfast prepared fresh for you! Haleigh and Dave have been mixing it up in the kitchen and creating milkshakes you can’t find elsewhere. Next time you are in, check out our new milkshakes: Root Beer or Orange Creamsicle. Our milkshakes are made from hand-dipped real ice cream and flavored with real ingredients rather than sugary syrups and powders in soft-serve. Old fashioned, yes. Outstanding, also yes. 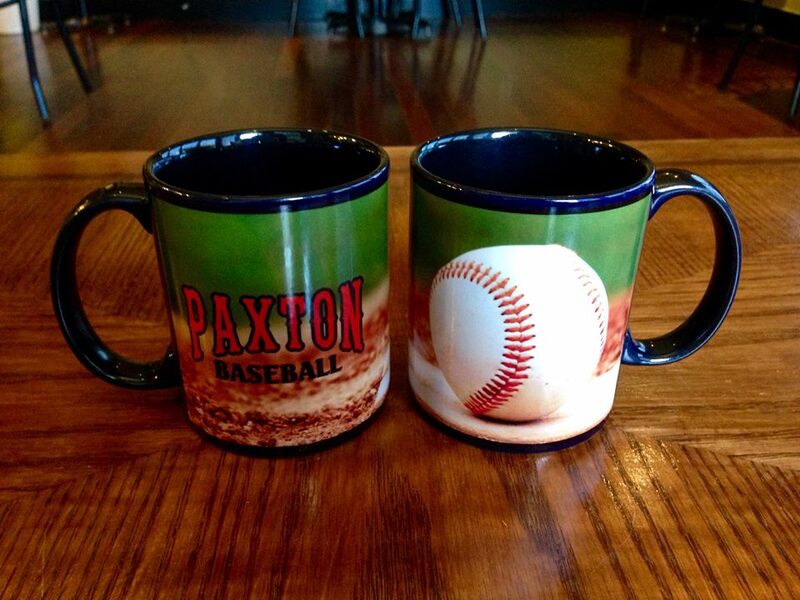 Coming soon… We will be breaking out the barista skills and whipping up lattes and cappuccinos reminding Paxton that you don’t have to drive out of town to get a gourmet coffee drink. Get ready! June 30, 2013 / Dave / Comments Off on It’s Christmas in July! It’s Christmas in July at Florida Farmers Market, and we are celebrating all month long! Here’s our calendar of events… come one come all! This calendar will expand as the month progresses, so keep an eye on it! Monday, July 1st – The celebration begins with the first brewing of Jingle Bell Java at 7 AM… It’s a Christmas in July Miracle! Tuesday, July 2nd – It’s Tutu Tuesday! Come in wearing a tutu (or buy one while you are here) and you get to draw for a special surprise treat! Wednesday, July 3rd – Watermelon Wednesday begins… We’ll have ice cold watermelon sliced and ready to eat every Wednesday this month! Thursday, July 4th – Picnic Time! Get 10% off all carry out orders. Current members of our armed forces and veterans get an ADDITIONAL 10% off! Friday, July 5th – Happy Hour… We’ll have Milk & Fresh Baked Cookies available for an afternoon snack from 2-4 PM only $2! Saturday, July 6th – Go GREEN! Wear Green to FFM and get “The Grinch” sandwich for only $3! Sunday, July 7th – Get your RED on! Kids wearing red get a FREE “Santa’s Little Helper” kids’ meal with an adult combo meal purchase. Tuesday, July 9th – It’s Tutu Tuesday again! Come in wearing a tutu (or buy one while you are here) and you get to draw for a special surprise treat! Wednesday, July 10th – It’s Watermelon Wednesday… We’ll have ice cold watermelon sliced and ready to eat every Wednesday this month! Friday, July 12th – Happy Hour… We’ll have Milk & Fresh Baked Cookies available for an afternoon snack from 2-4 PM only $2! Saturday, July 13th – Super Saturday means 25% off all music CDs! We have a collection of independent musicians’ CDs that are sure to please your ears. Listen to something new today! Tuesday, July 16th – It’s Tutu Tuesday again! Come in wearing a tutu (or buy one while you are here) and you get to draw for a special surprise treat! Wednesday, July 17th – It’s Watermelon Wednesday… We’ll have ice cold watermelon sliced and ready to eat every Wednesday this month! Saturday, July 20th – Ho, Ho, Ho-Down… The Deadfields are LIVE at FFM! We’ll be staying open late to host a very special concert. Come ready to party with the Rock-a-cana (rock, country, & americana with a bluegrass flair) group, The Deadfields! (Check ’em out on Facebook) BYOB… The kitchen will be open late as well! Details to follow. Tuesday, July 23rd – It’s Tutu Tuesday again! Come in wearing a tutu (or buy one while you are here) and you get to draw for a special surprise treat! Wednesday, July 24th – It’s Watermelon Wednesday… We’ll have ice cold watermelon sliced and ready to eat every Wednesday this month! Friday, July 26th – Black Friday SALE, SALE, SALE! Get ready for the best deals you may ever see at FFM! Tuesday, July 30th – It’s Tutu Tuesday one last time! 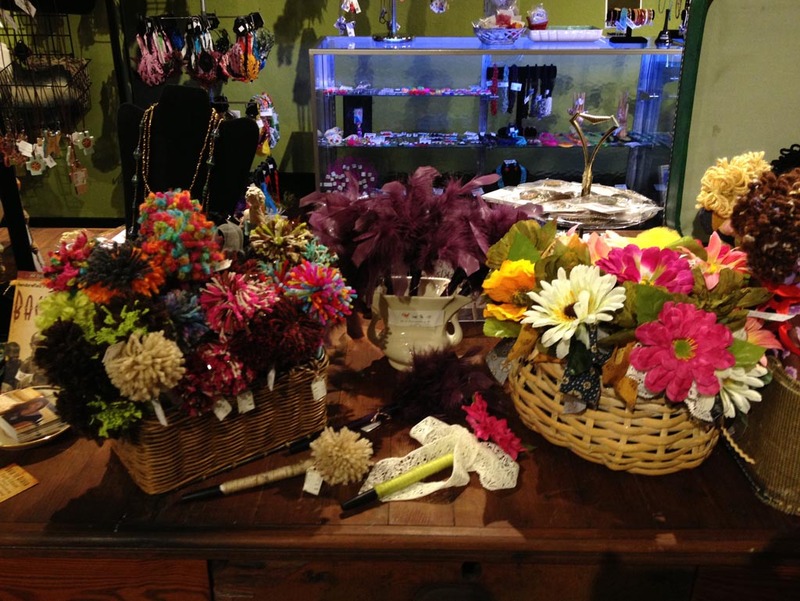 Come in wearing a tutu (or buy one while you are here) and you get to draw for a special surprise treat! Wednesday, July 31st – It’s Watermelon Wednesday for the last time… We’ll have ice cold watermelon sliced and ready to eat… Live it up! 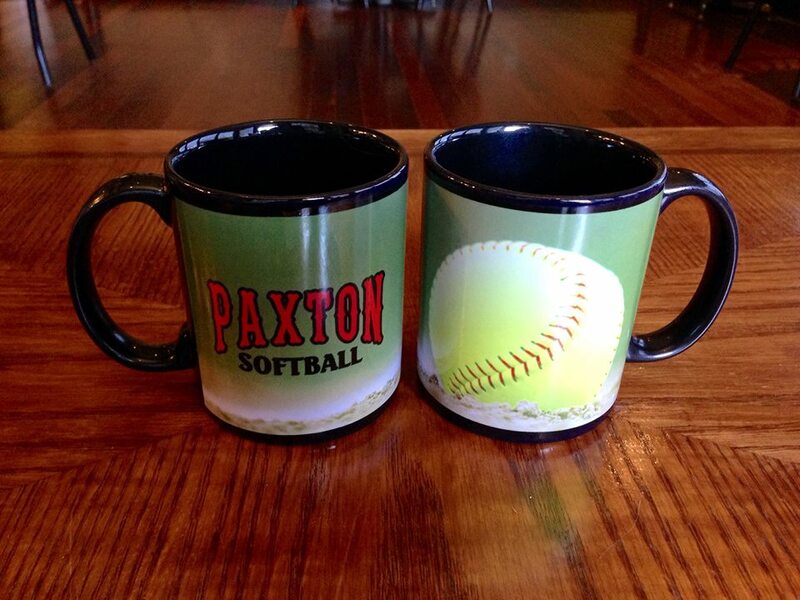 Get Your Mug On A Mug Contest! February 16, 2013 / Dave / Comments Off on Get Your Mug On A Mug Contest! 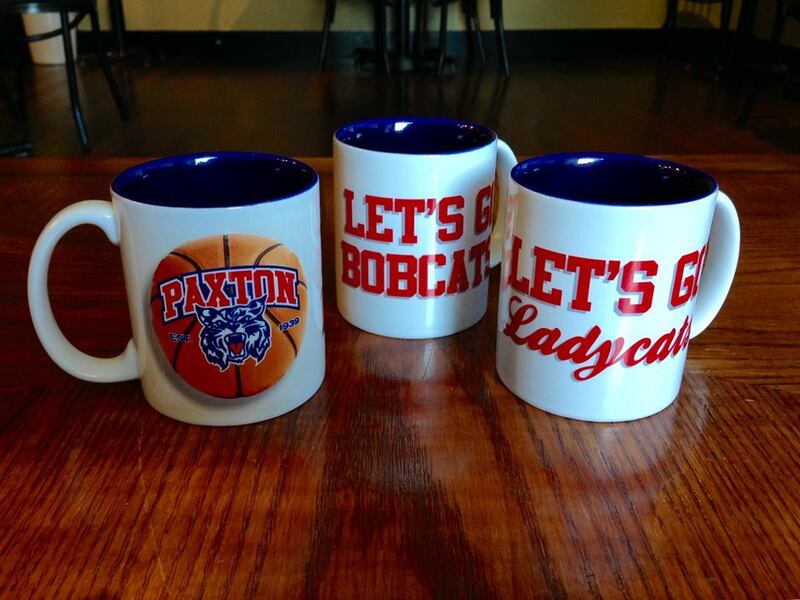 Get Your Mug On A Mug! 1. 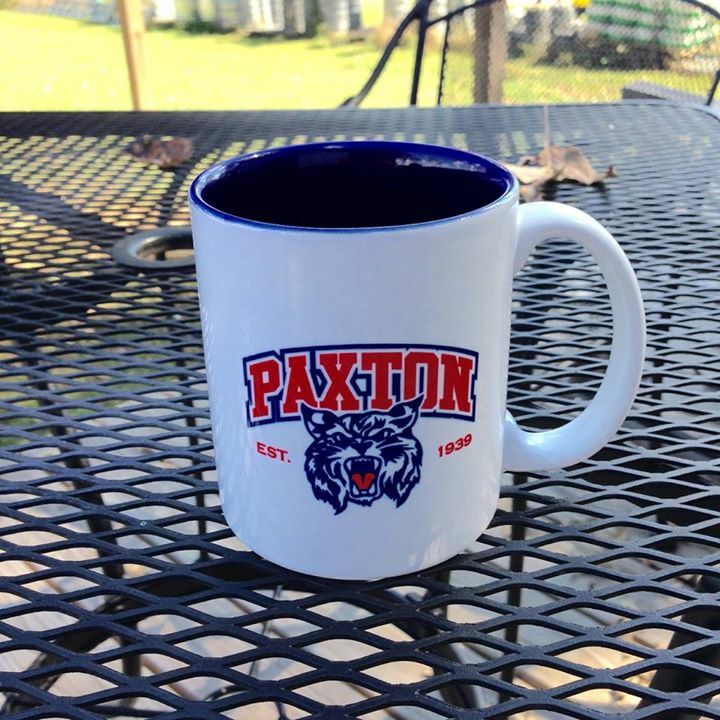 Post a photo on Facebook of yourself, your friend, your mom, you kid, your cat… whatever mug you want to have printed on your mug if you win. 2. Tag Florida Farmers Market in your photo. (You have to be our friend by liking us on Facebook to tag FFM.) OR… Post it on our wall, and we’ll tag it for you. Either way is cool! 3. Tell everyone you know to like your photo. 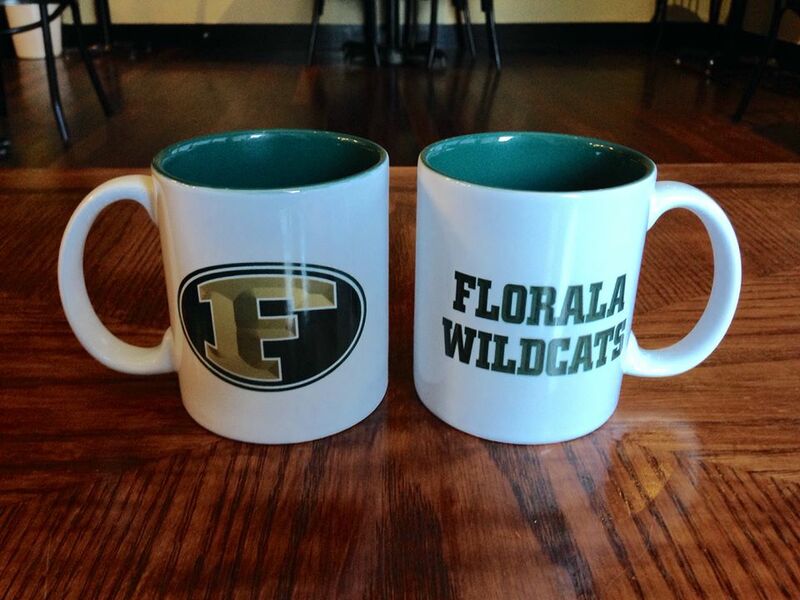 The most likes on a single photo by Monday morning at 9AM on February 25th wins their mug on a mug! That’s pretty simple isn’t it? Oh, we almost forgot to mention, you will be famous if you win… Your photo mug will be the very first one we ever print… First FOREVER! – No extreme close-ups or tight crops that cut part of your head off… We have to be able to cut your whole head out in photo editing later. – You must have the right to print any copyrighted photos entered. (All photos are copyrighted by the person that took them automatically according to the laws of the United States.) Don’t use another person’s work without their permission. 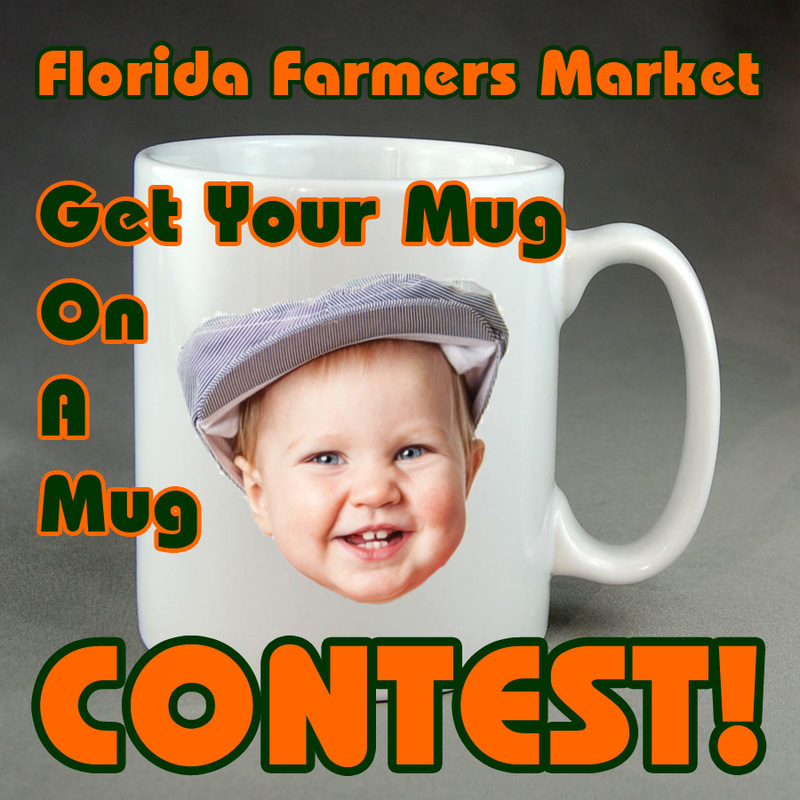 – By entering the contest, you agree to abide by these rules, and you also grant Florida Farmers Market (a Team Dave company) permission to re-print your photo royalty-free on your mug as well as for future promotional use on other media. Have fun, and good luck! We look forward to seeing your mugs on Facebook! Fabric and Ribbon Necklaces: All unique! 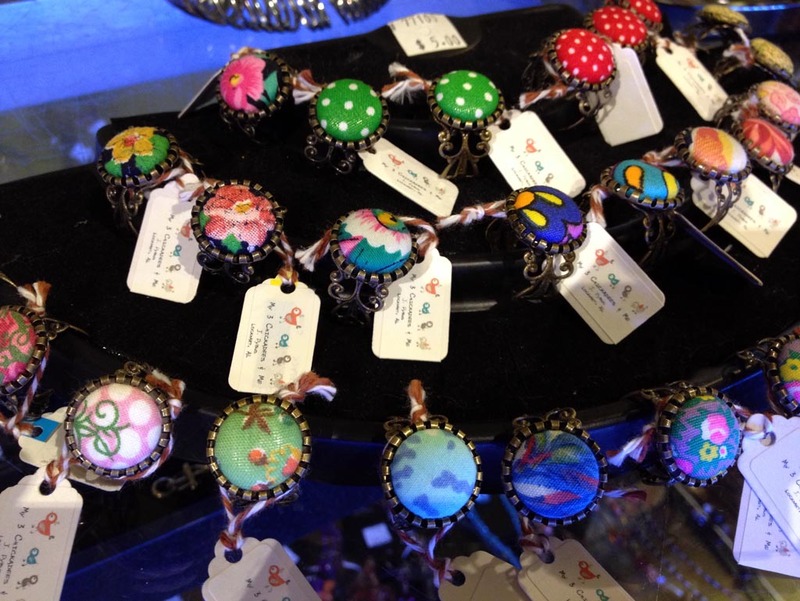 Heather and I (Dave) do indeed make most of the handmade items that you find here at Florida Farmers Market, but our percentage of the hand-crafted gifts available at FFM is steadily decreasing as we meet new vendors of high quality hand-crafted items. 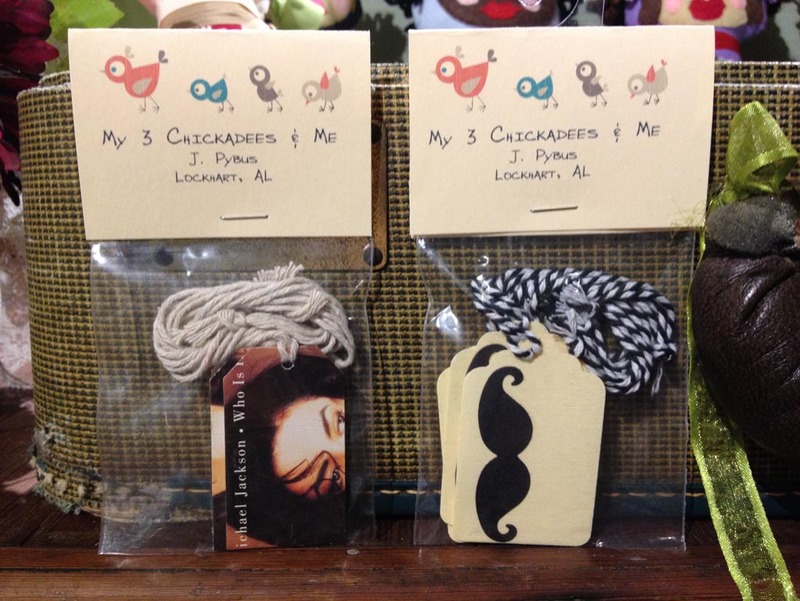 Jennifer Pybus of My 3 Chickadees & Me (Lockhart, AL) has introduced us to some fun items that are not only super creative but also useful! Her work is all currently geared to the female shoppers, so sorry fellas, your interest may have stopped right here. You may still need gift ideas, so don’t leave us yet! 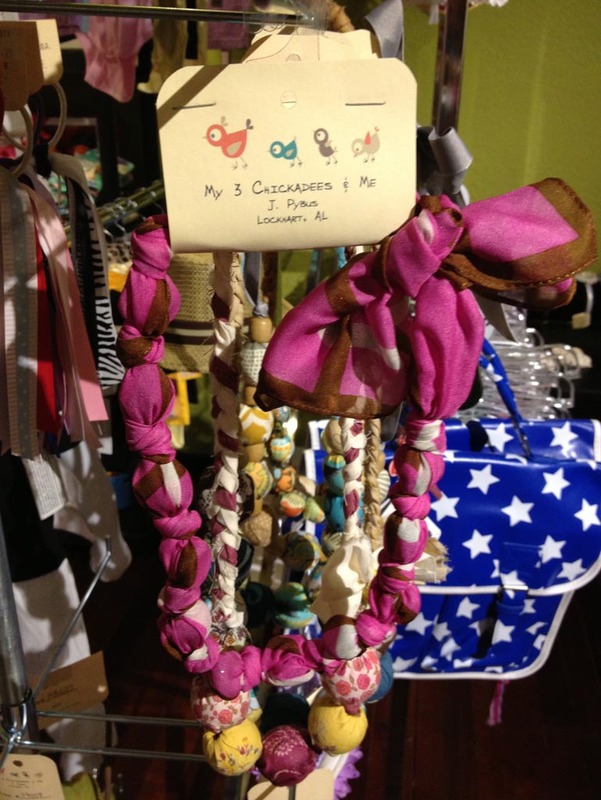 As you might guess from the name, My 3 Chickadees & Me, Jennifer crafts with her 3 daughters in mind and usually in tow. 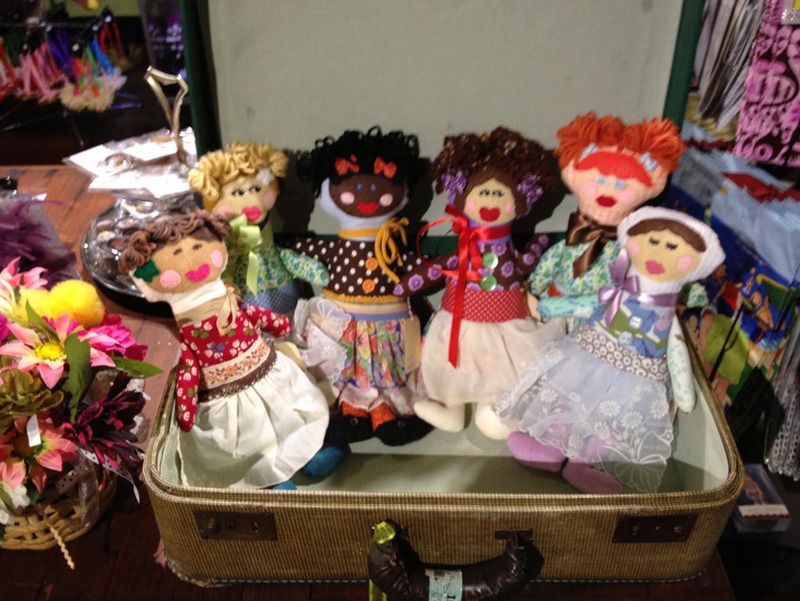 Her girly girl creations range from pom pon hair accessories and ink pens, flower and feather ink pens, up-cycled jewelry made from various materials, vintage fabric hand-sewn dolls, and even gift tags made from up-cycled materials to tag her girly gifts with. 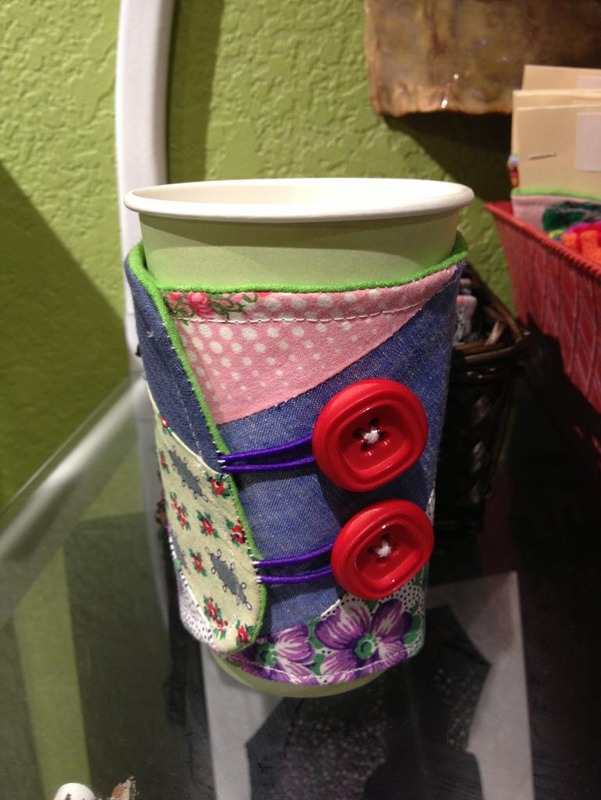 We love Jennifer’s work, and we are happy to have her as part of the crafting team here at Florida Farmers Market. My 3 Chickadees & Me handmade gifts range from $3 to $20, so you can’t go wrong buying these hand crafted FFM exclusives as gifts or for yourself! My 3 Chickadees & Me are on Facebook! Give them a Like and spread the word!